I want to show you images that will be like a slap in your face to shatter your security. You can look away, turn off, hide your identity like murderers, but you cannot stop the truth. No one can. Kaveh Golestan While on an assignment for the BBC in northern Iraq in 2003, Iranian photographer Kaveh Golestan (*1950 in Abadan) died after stepping on a land mine. 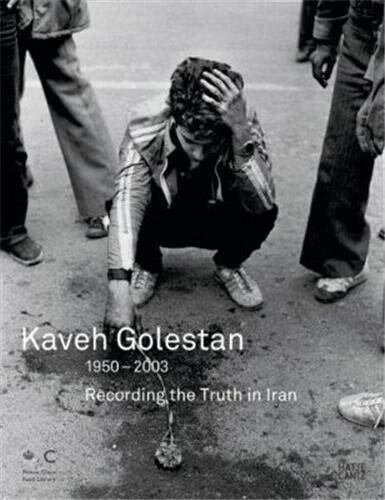 A photojournalist since before the 1979 Islamic Revolution, Golestan s camera witnessed the recent history of his country like no other. His harsh realism and social criticisms triggered both awareness and discomfort at home and abroad; he covered war, revolution, and Iran s dispossessed workers, prostitutes, and the mentally insane for Time and other international magazines. As well as being awarded a Pulitzer Prize for his coverage of the Islamic revolution, Golestan was honored with the Robert Capa Gold Medal in 1979.